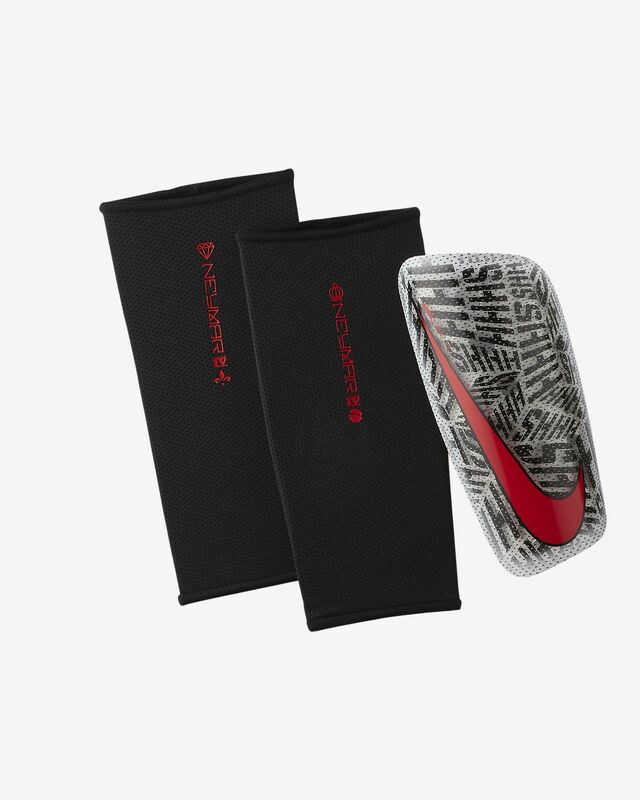 Inspired by Neymar's iconic "Shhh..." tattoo, the Nike Mercurial Lite Neymar Jr. Shinguards are anything but quiet. They blend ultra-thin coverage with superior cushioning and impact diffusion in a design that can withstand the demands of the elite-level game. 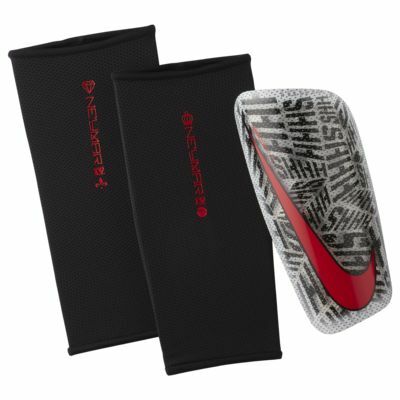 Inspired by Neymar&apos;s iconic "Shhh..." tattoo, the Nike Mercurial Lite Neymar Jr. Shinguards are anything but quiet. They blend ultra-thin coverage with superior cushioning and impact diffusion in a design that can withstand the demands of the elite-level game. Materials: Shell: 79% K-resin/21% EVA. Sleeve: 65% polyester/19% rubber/16% elastane. Have your say. Be the first to review the Nike Mercurial Lite Neymar Jr..